Groucho Marx famously asked contestants on You Bet Your Life “Who’s buried in Grant’s Tomb?” It is a simple question with an obvious answer, right? 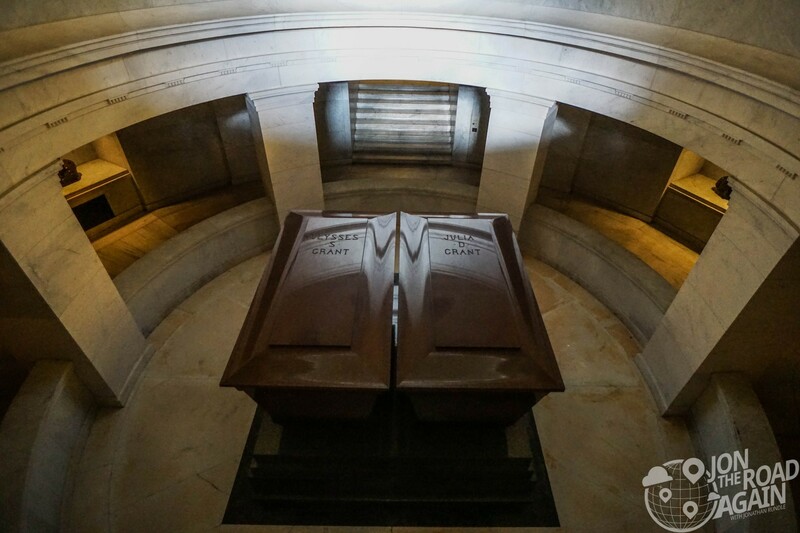 That is because the final resting place of Ulysses S. and Julia Grant are entombed in sarcophagi above ground rather than being buried in the ground. Good one, Groucho. Check in with a NPS Park Ranger for info on Grant’s history – because very little is told about him in the tomb. 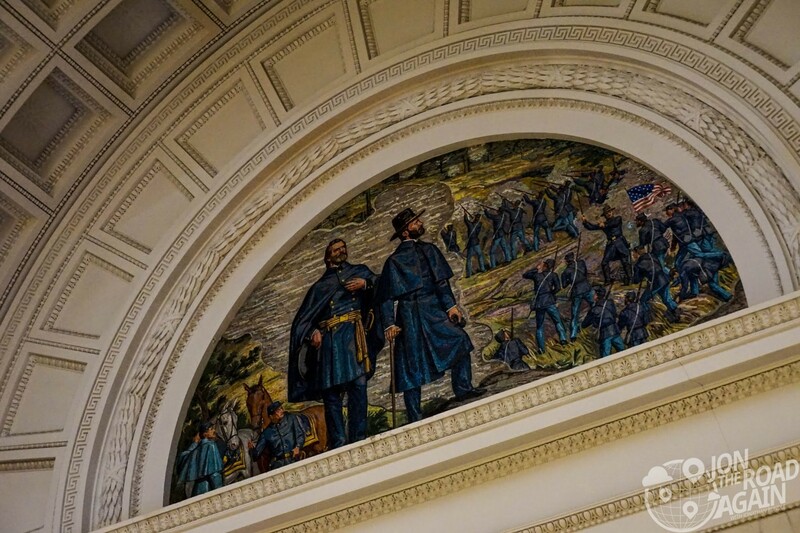 There are panels above that point to leadership and Civil War battle flags in two adjoining rooms – but other than that you’re on your own. In that respect, the tomb’s architecture is all you have to understand the reverence it’s builders had for him. 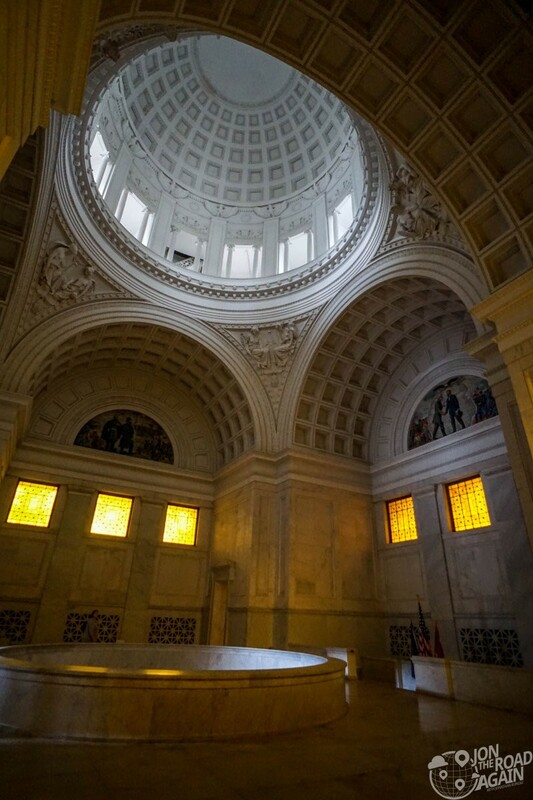 Grant’s Tomb is located in Harlem (Morning Side Heights), so from the subway you’ll be walking through the projects. 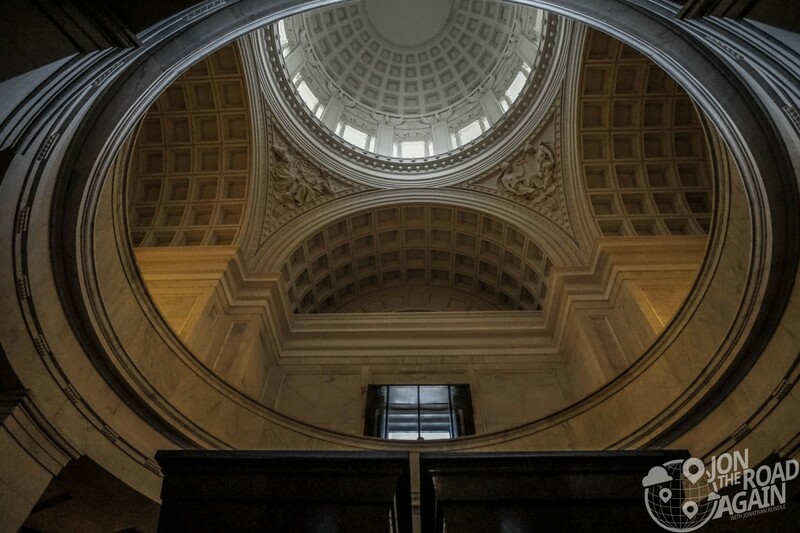 Also be aware that the mausoleum has staggered hours from 9-5pm. Meaning, it is open for an hour and then closed for an hour. Leaving Grant’s Tomb, you might add on a few additional sites. 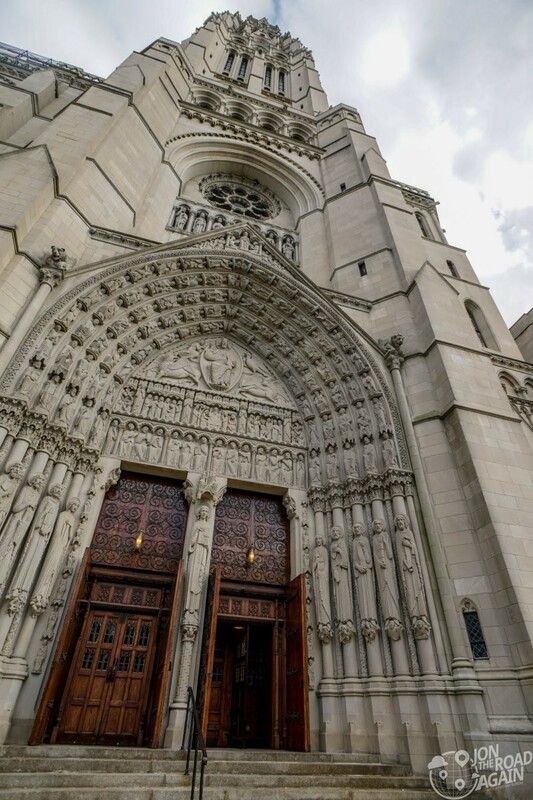 Be sure to walk through the massive Riverside Church next door. 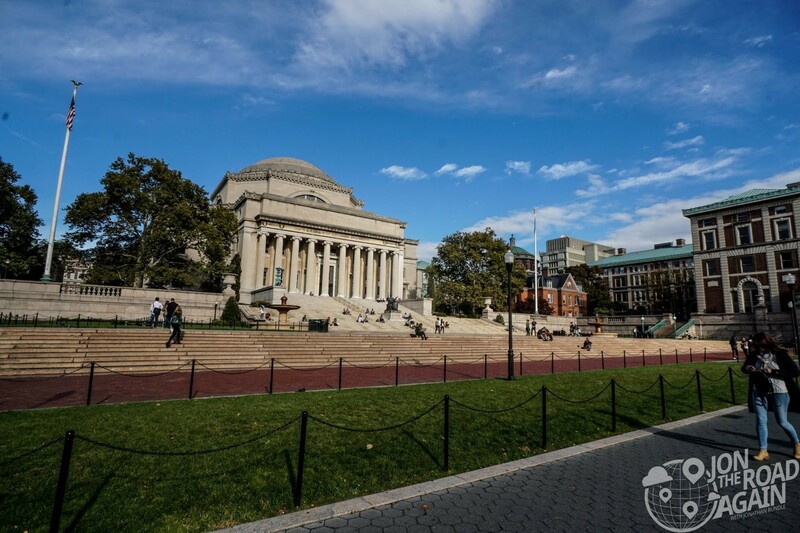 Make your way through Columbia University. 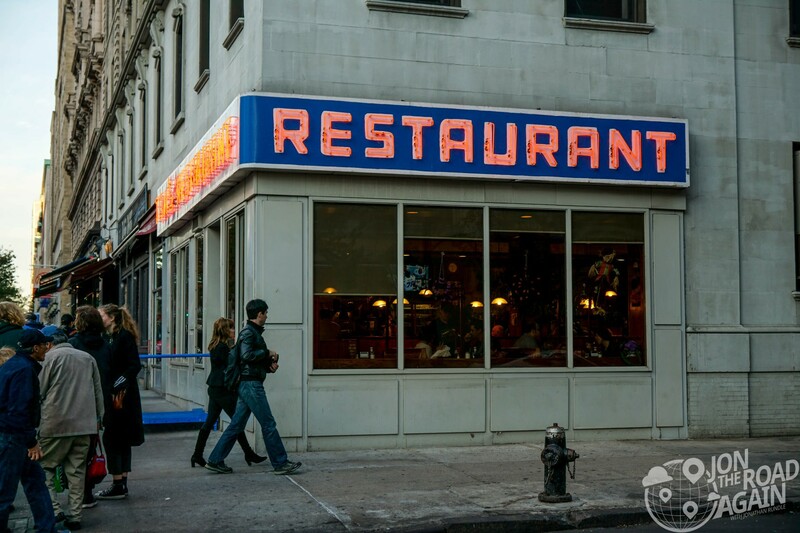 Stop for a quick photo op at Tom’s Restaurant, aka Monk’s Diner from Seinfeld. 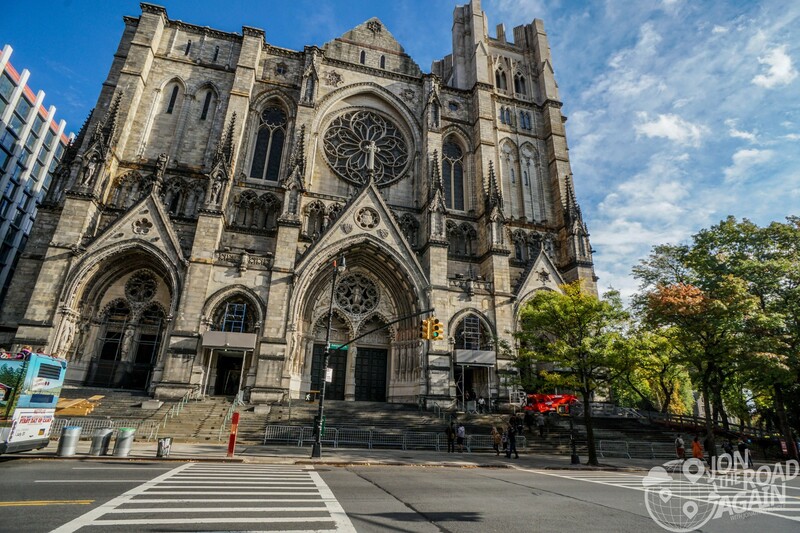 and don’t miss the Cathedral of St. John the Divine, which we’ll visit next.